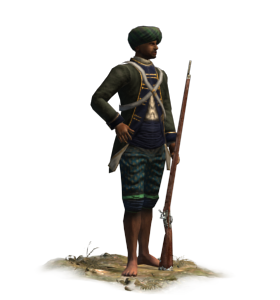 The sepoys of the British East India Company were typical in that they had native and European officers. “Natives” never commanded Company battalions, but their opinions were always sought by the better sort of European officer. The Ghoorkas were a special case, because Nepal was never colonised, but a treaty was made between the company and the native king.